Monks Cowl takes its name from the peak by the same name. Monks Cowl lies between Champagne Castle and Cathkin in the Central Drakensberg at the head of the Champagne Valley. 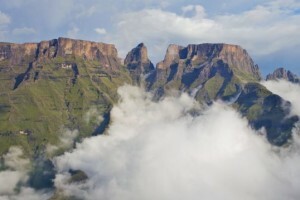 Monks Cowl offers breathtaking vistas of sweeping grasslands on the lower reaches, to magnificent towering cliffs and waterfalls cascading for hundreds of metres – Monks Cowl is the the most popular Drakensberg entry point for camping, hiking, day walks or even just enjoying a light meal at the tea garden. Guest House accommodation in the Central Drakensberg. Homely atmosphere. Home cooking. Wits End – Self Catering Cottage Accommodation in the Central Drakensberg, KwaZulu-Natal Situated at the base of Monks Cowl in the shadow of Cathkin Peak these self catering cottages make for a great family holiday. 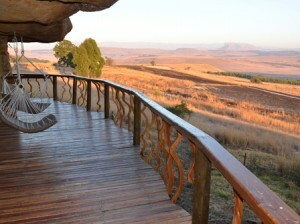 Bed & Breakfast accommodation in the Central Drakensberg. Beautiful views, a great location. Drakensberg upmarket hotel accommodation in the central Drakensberg. Excellent wedding and honeymoon venue. Old style accommodation in a stunning location below Champagne Castle. Food is great. This is a very old hotel and that only adds to its colonial character. Centrally situated with a lovely view and a great setup for backpackers. Ed really does make an effort to accommodate his guests needs. Predictable and reliable with value put on that professional polished image. Stunning location. Excellent timeshare accommodation. If only I could learn to like the timeshare concept. Monks Cowl – Monks Cowl is situated at the head of the Champagne Valley in the Central Drakensberg. Central Drakensberg Hiking Trails Monks Cowl Hiking Trails. central drakensberg hiking trails Sterkspruit Falls: This moderate walk starts at the Monks Cowl entrance . Monks Cowl Accommodation Venues by drakensberg-reservations ..